Marcia Amandary, B.F.A. Fashion Design, was born in Jakarta, Indonesia and grew up in Perth, Australia. 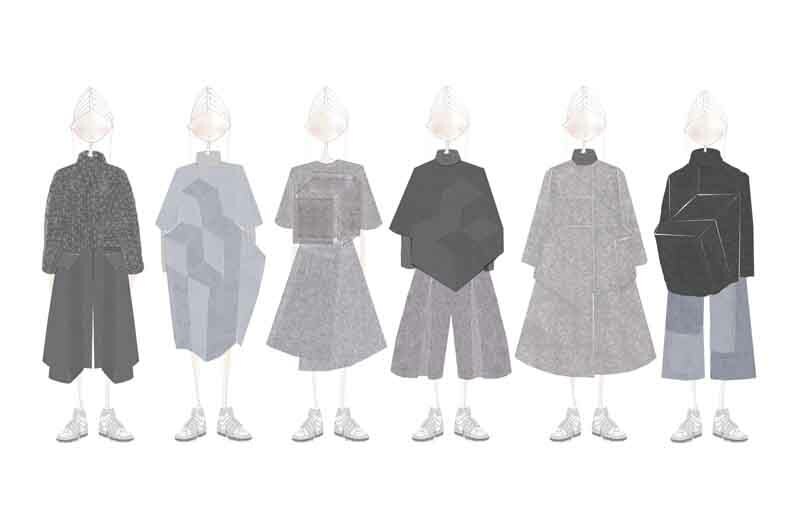 Her womenswear collection was inspired by tessellation, which is reflected in her collection through the use of geometric seams and angular silhouettes. Her collection consists of felted wool, lightweight wool, wool sweater knits and corduroy.